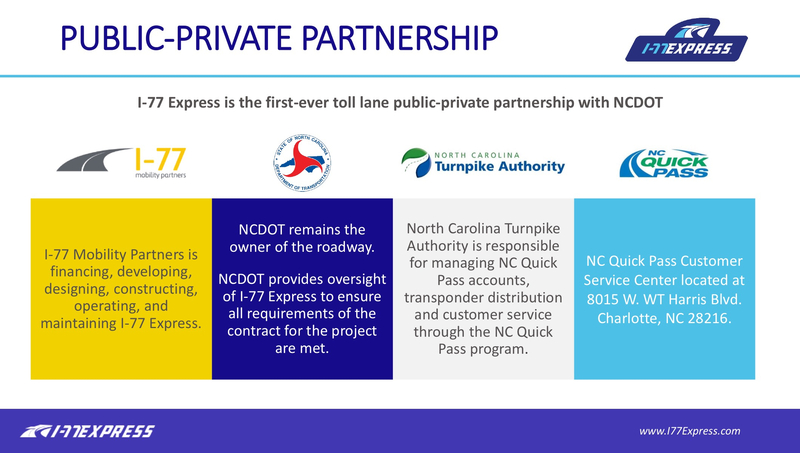 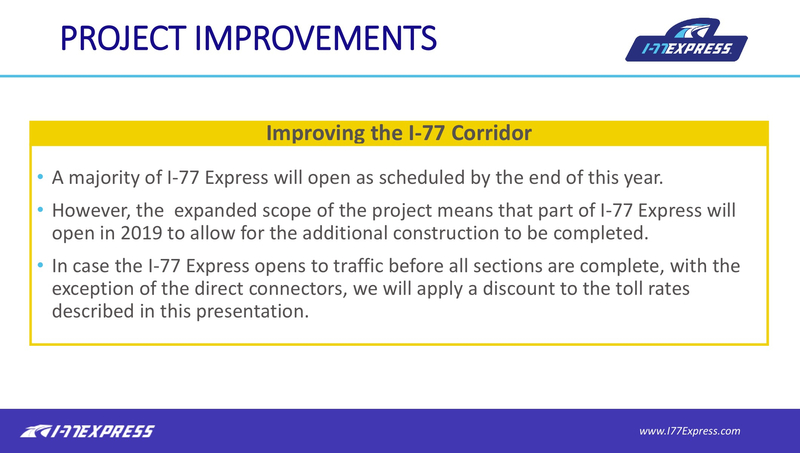 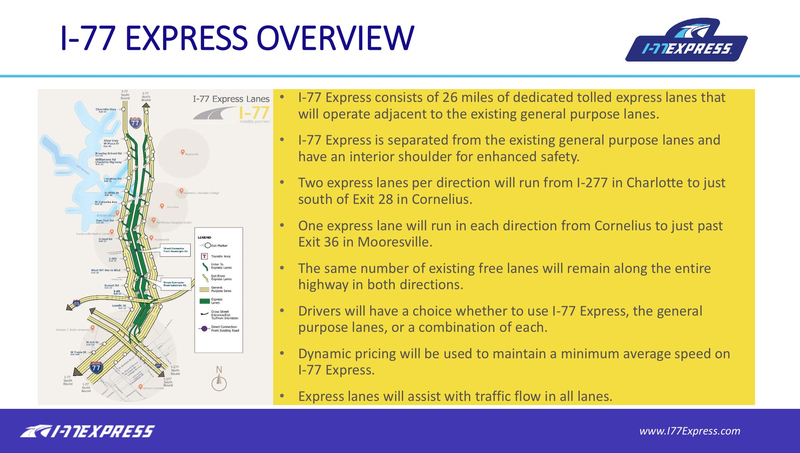 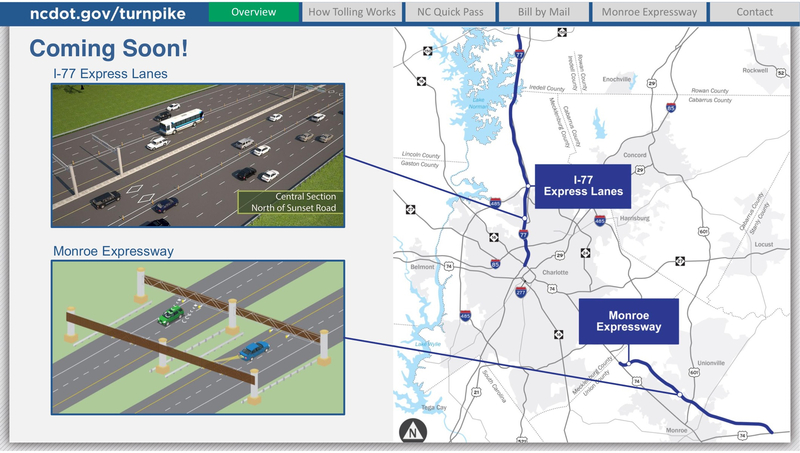 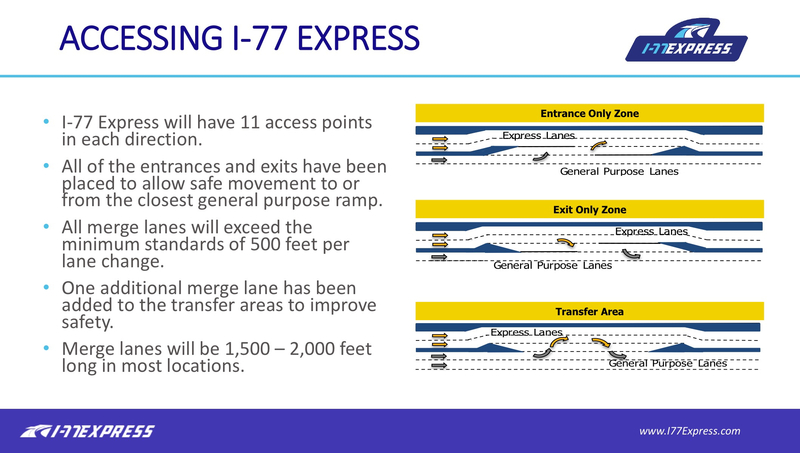 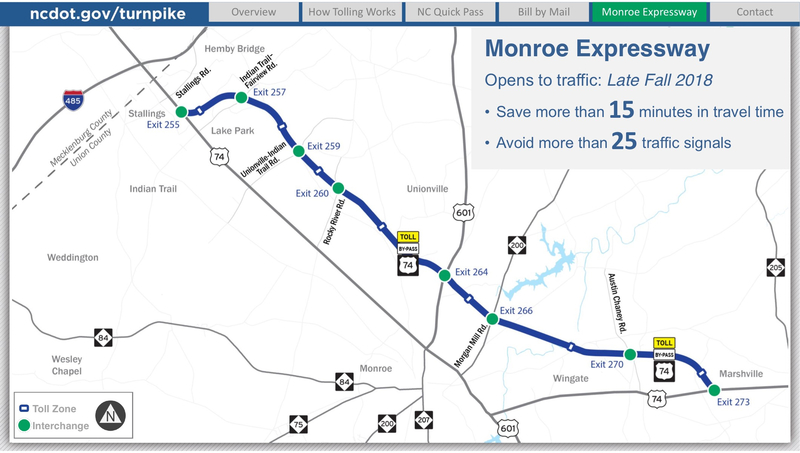 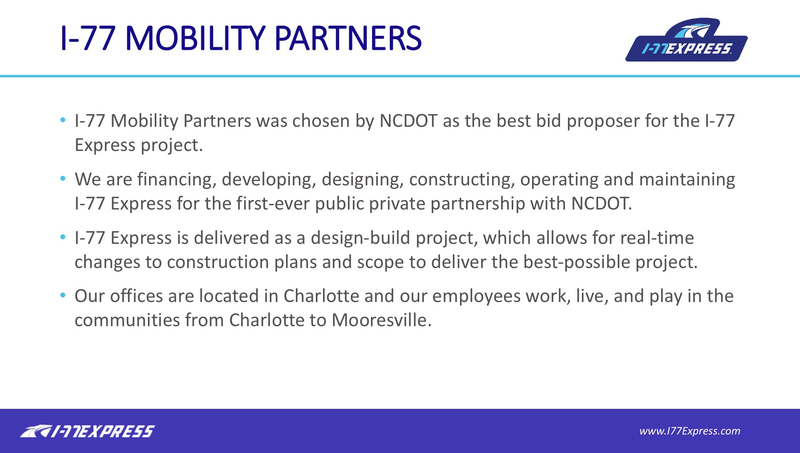 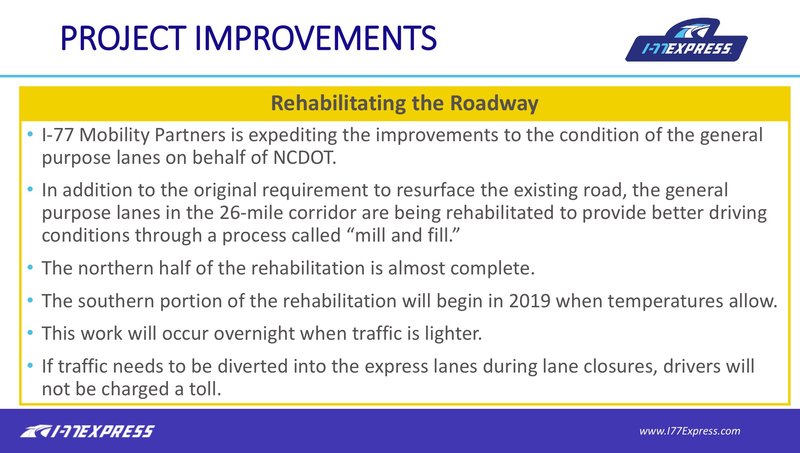 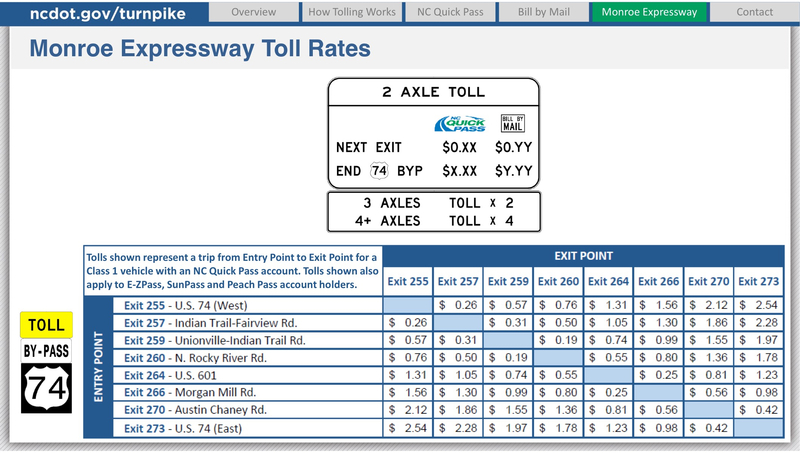 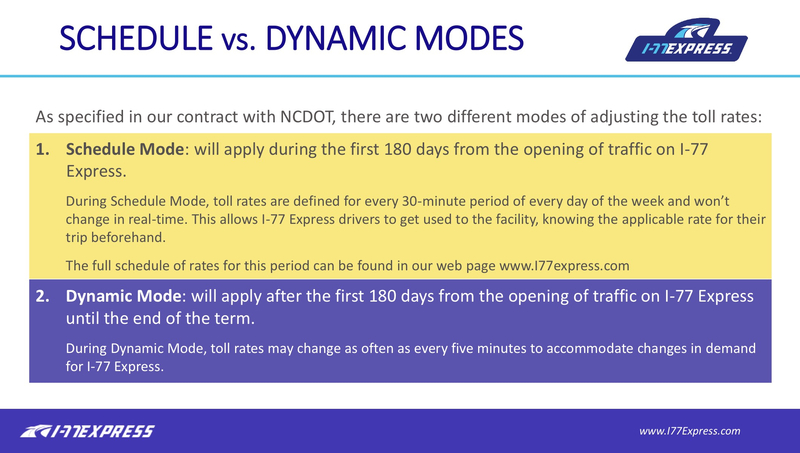 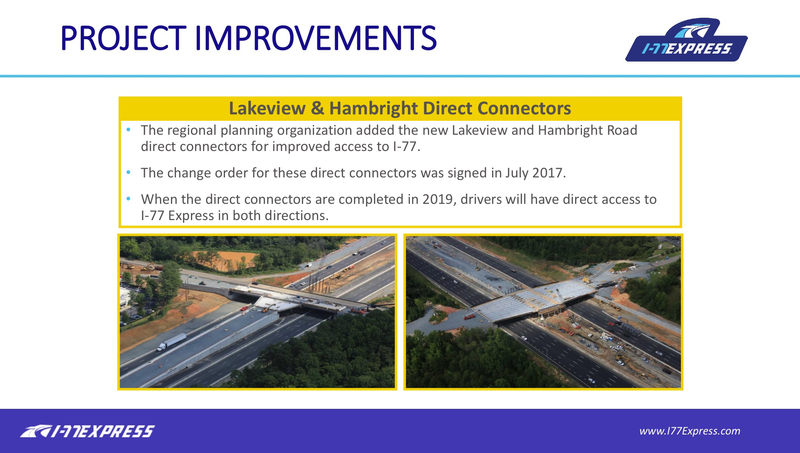 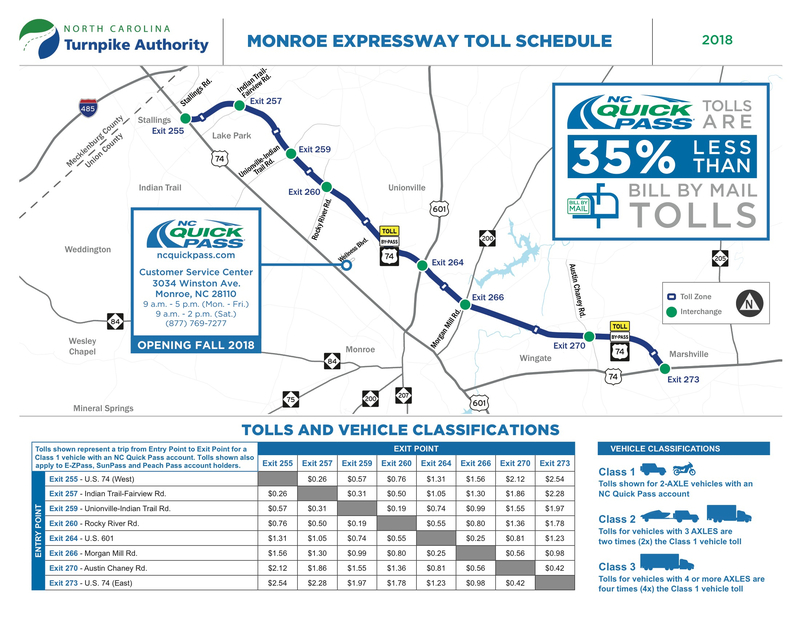 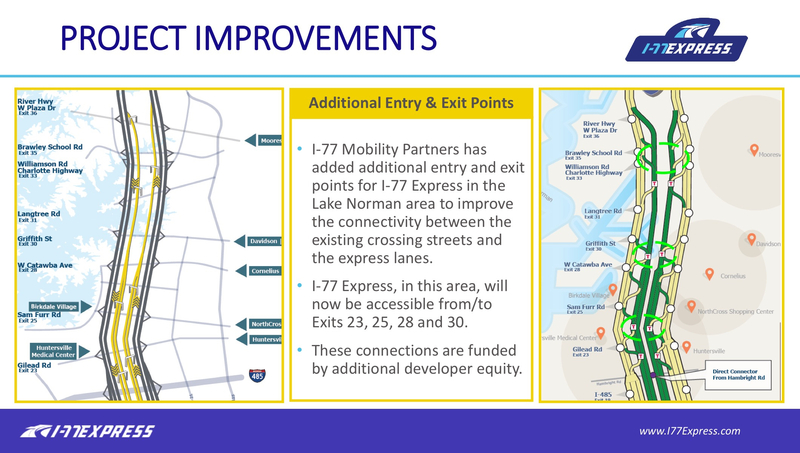 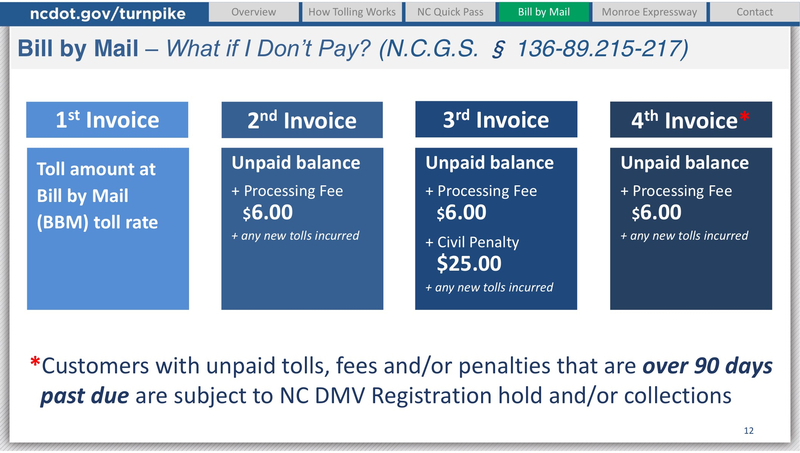 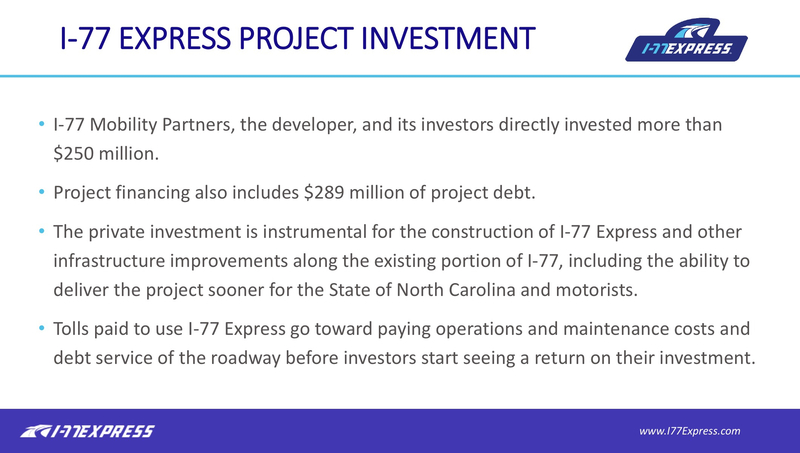 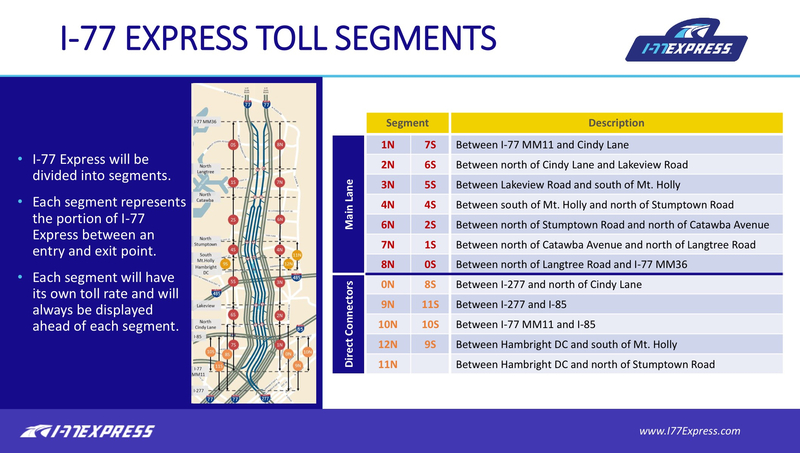 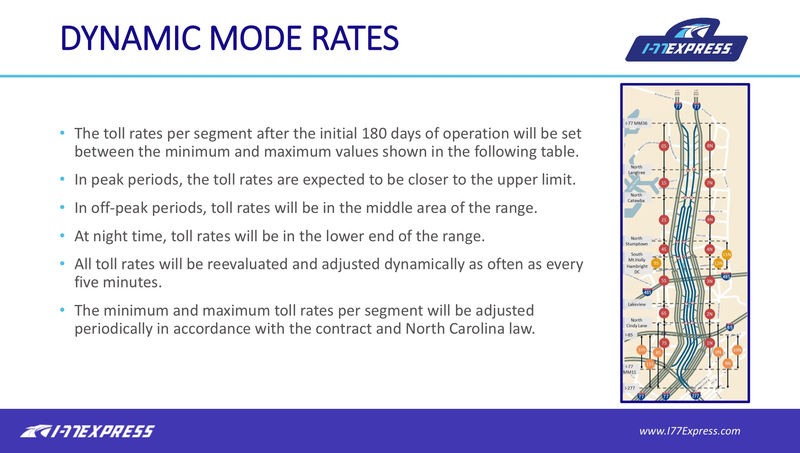 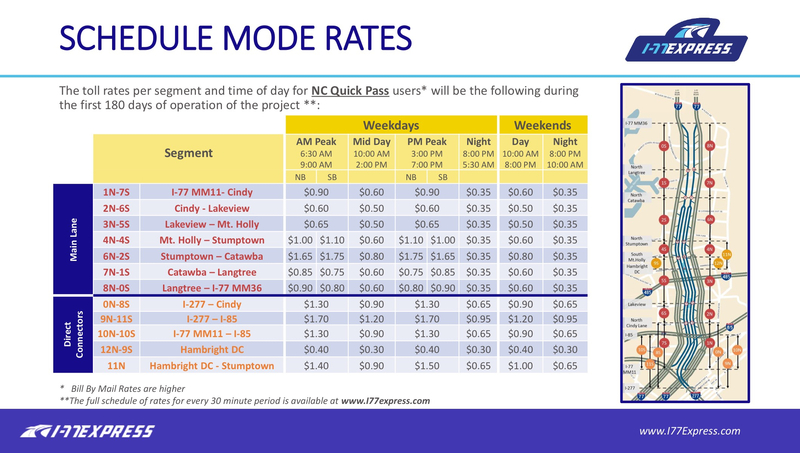 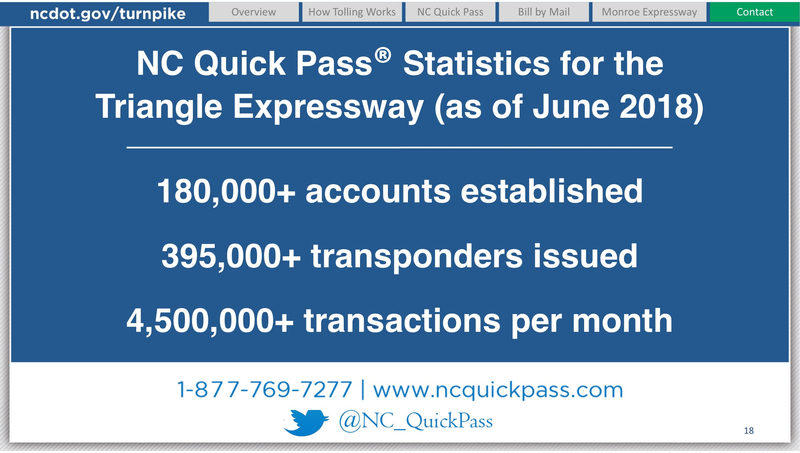 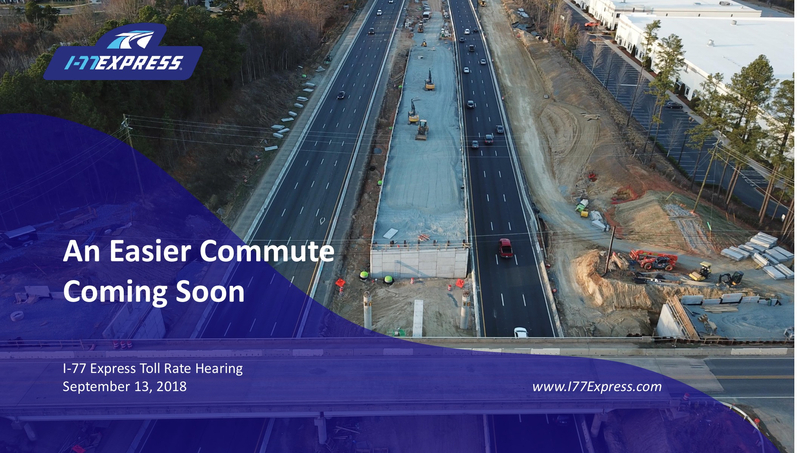 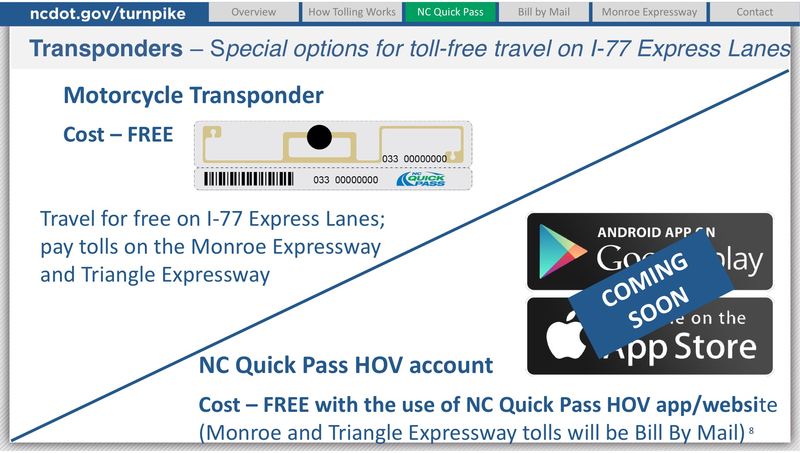 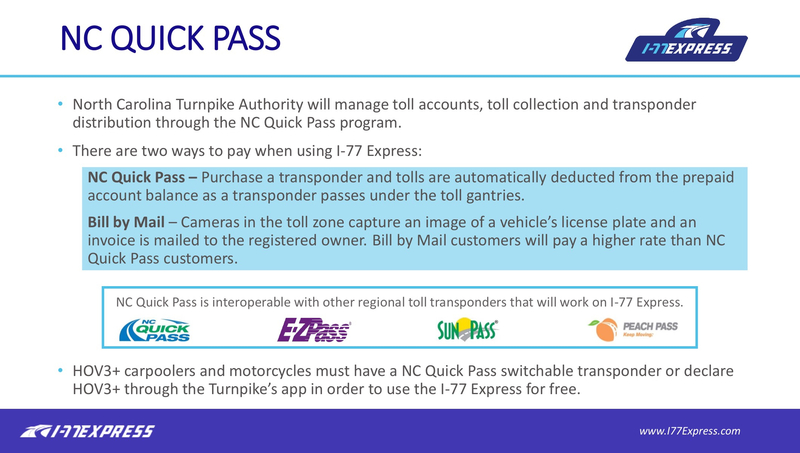 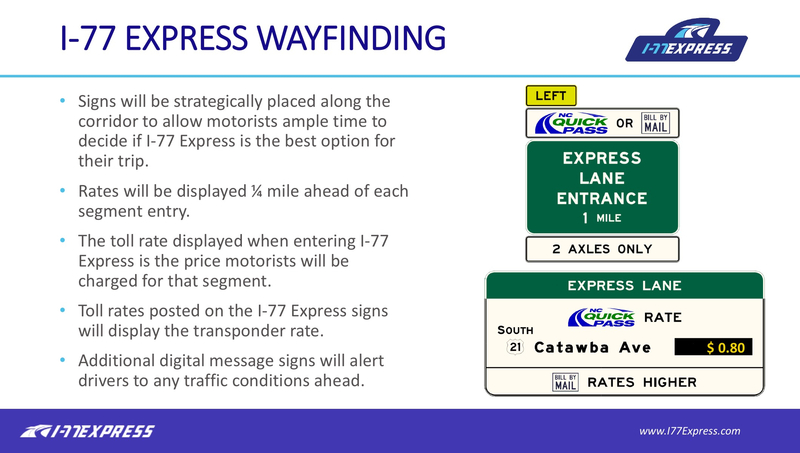 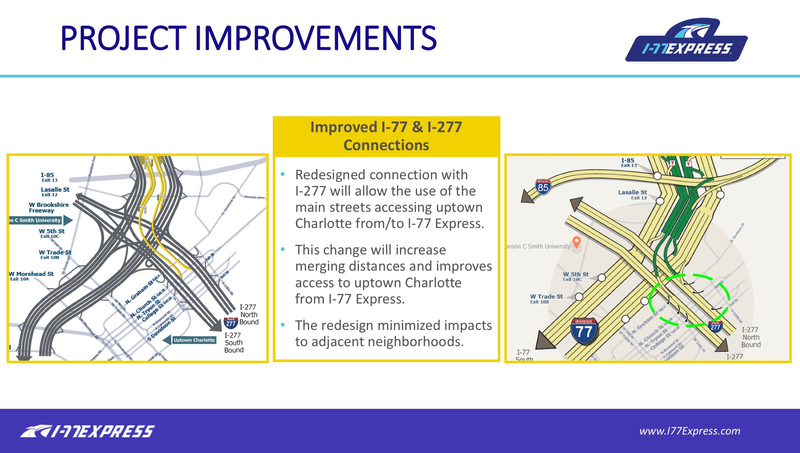 Perhaps by the end of the year, optional toll lanes will be operating of the construction site known as I-77 North. 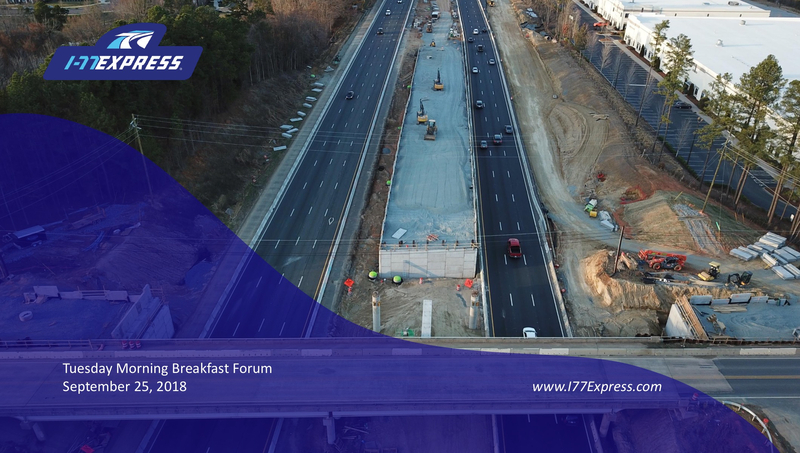 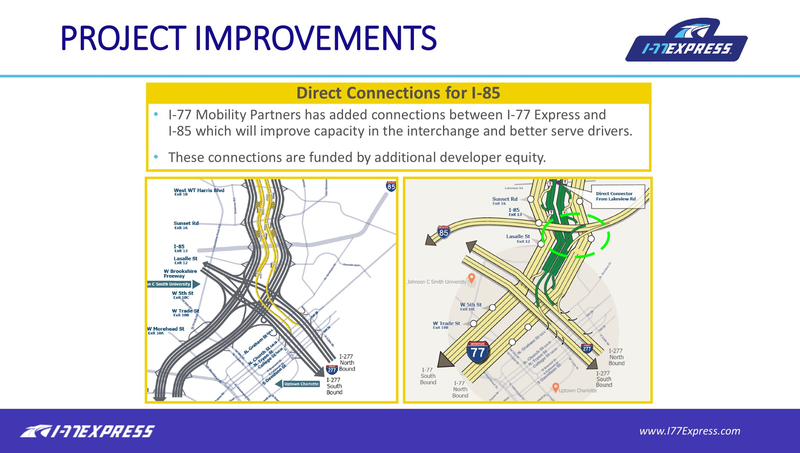 Jean Leier and Warren Cooksey returned to the Forum for an update on how the controversial project will operate, how much it will cost to use it, and how tolls will be collected. 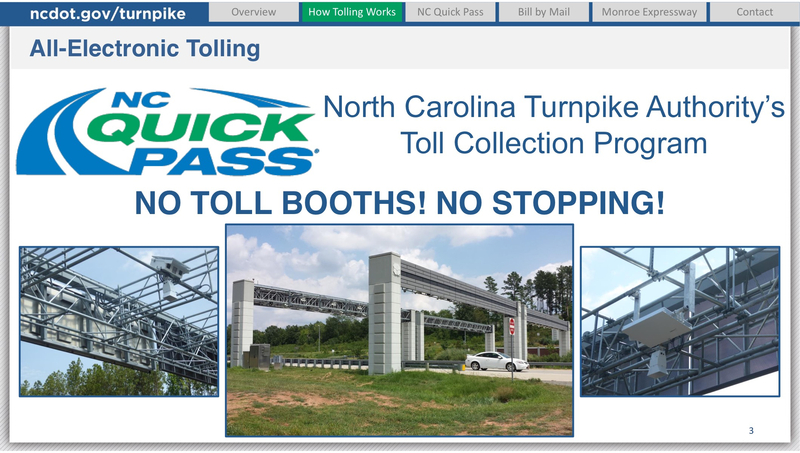 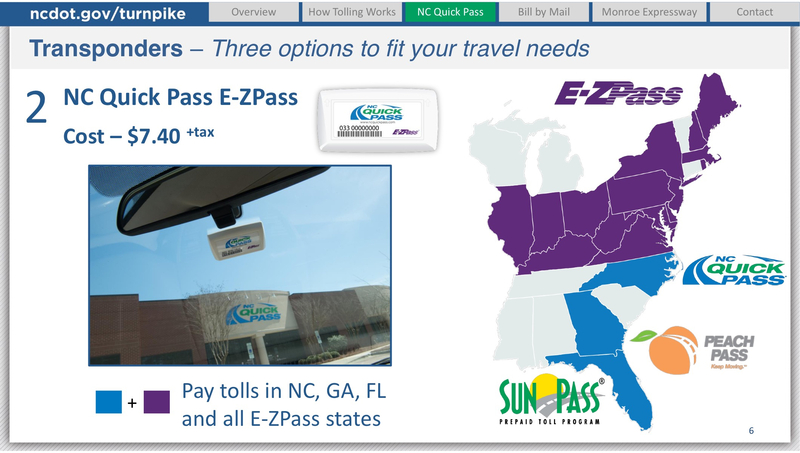 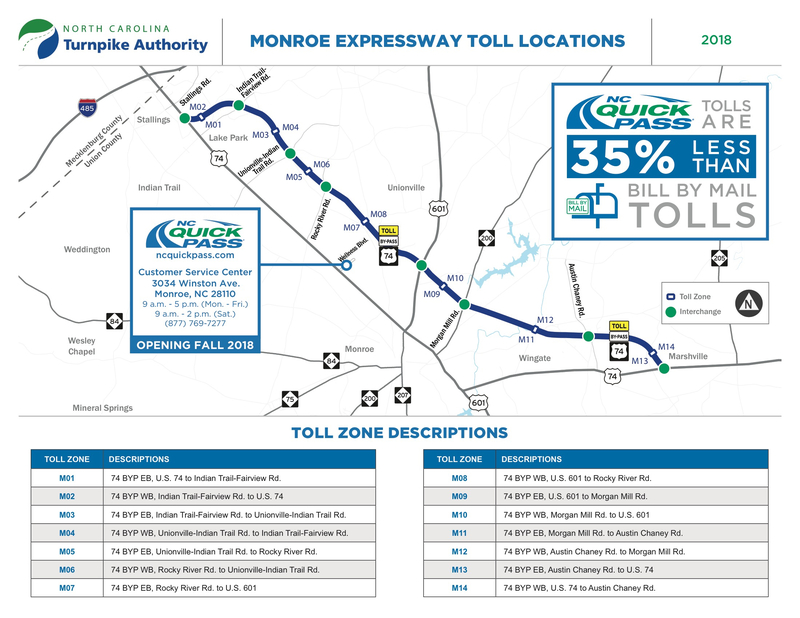 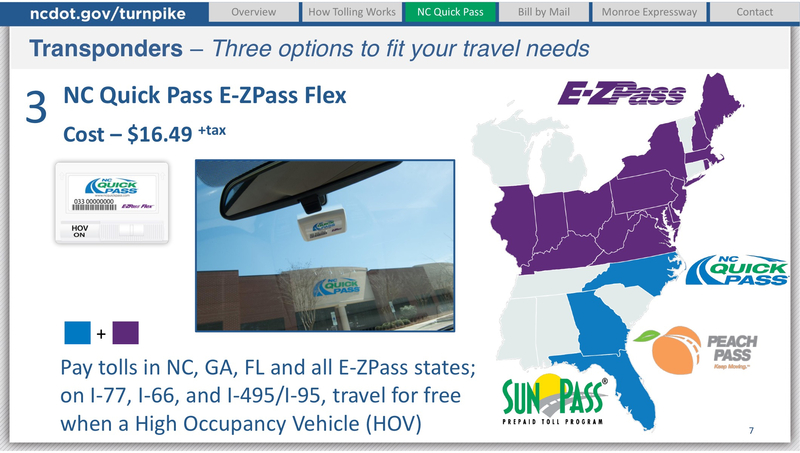 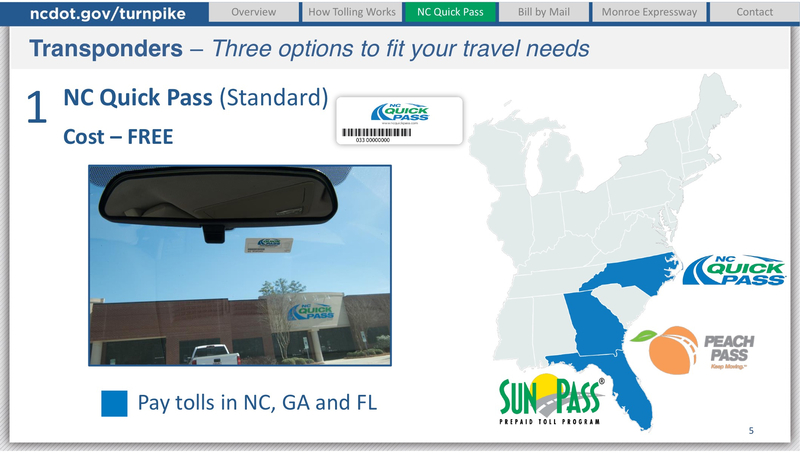 For emigrees from elsewhere, don’t think long lines behind drivers pitching quarters at toll booths. 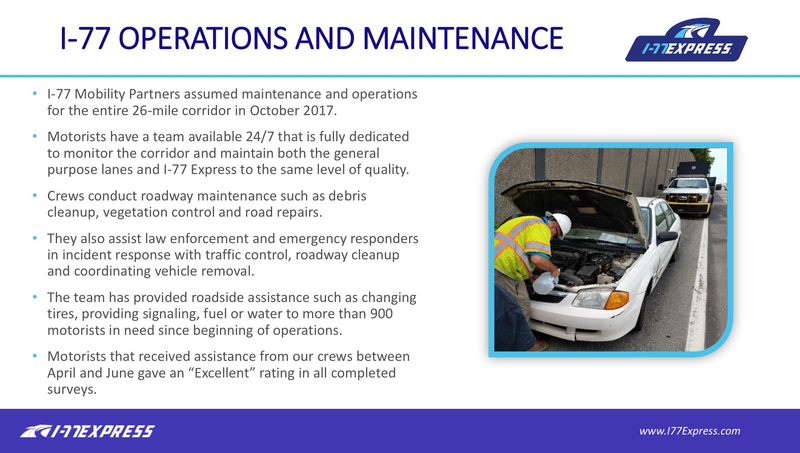 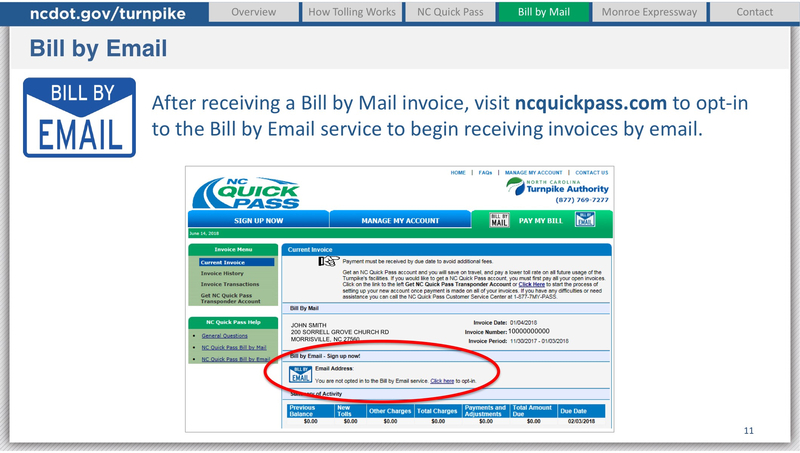 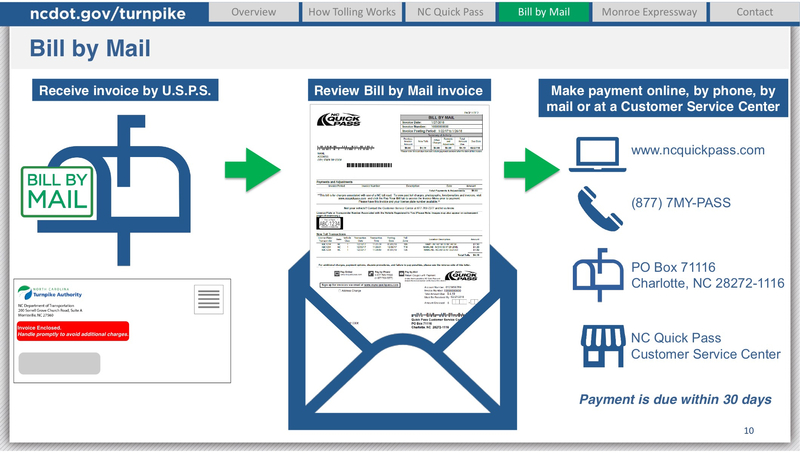 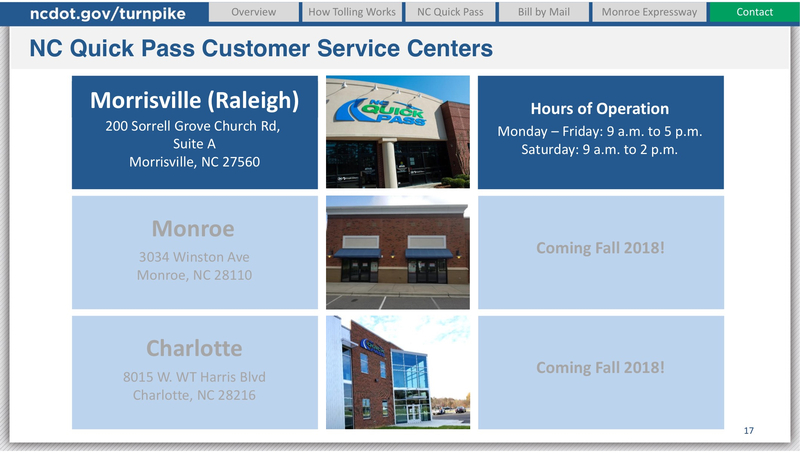 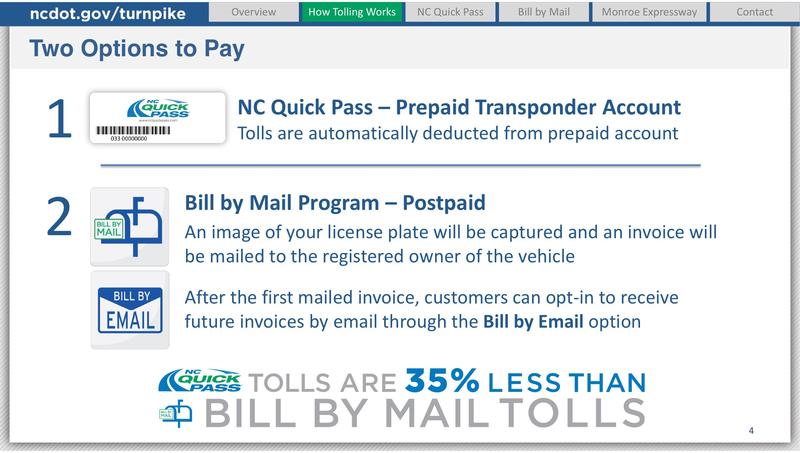 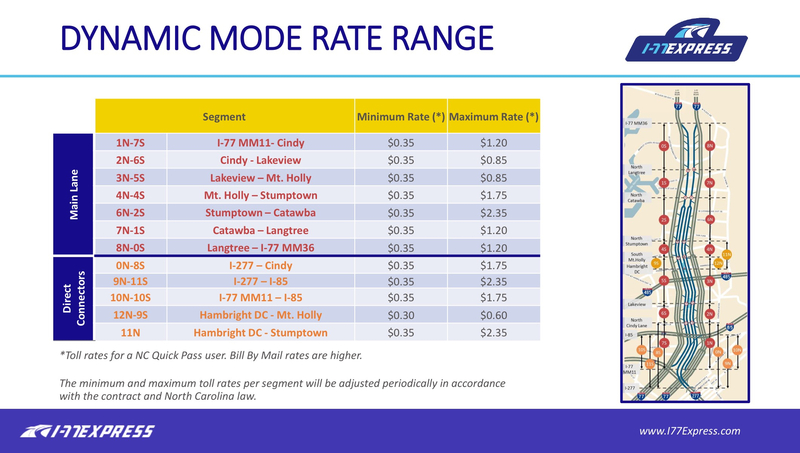 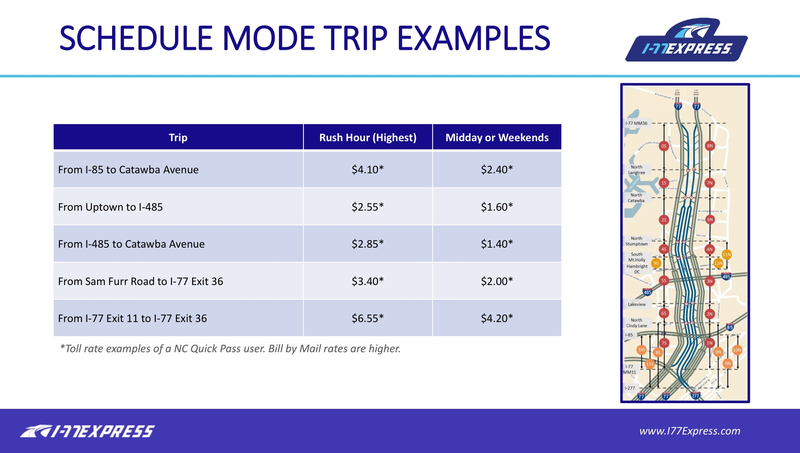 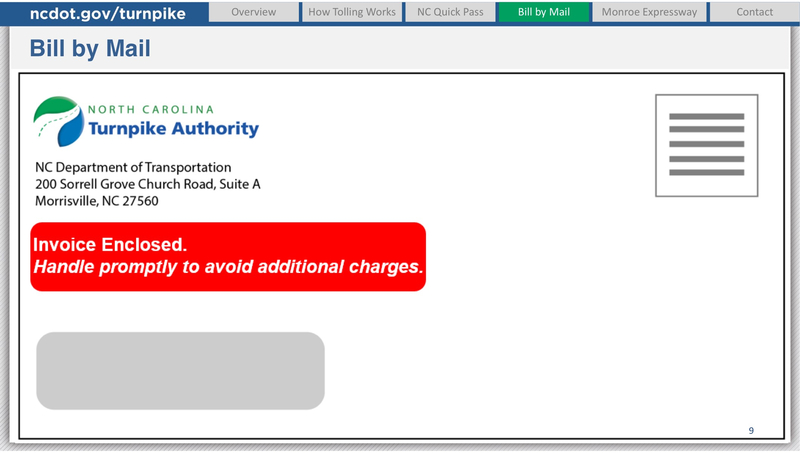 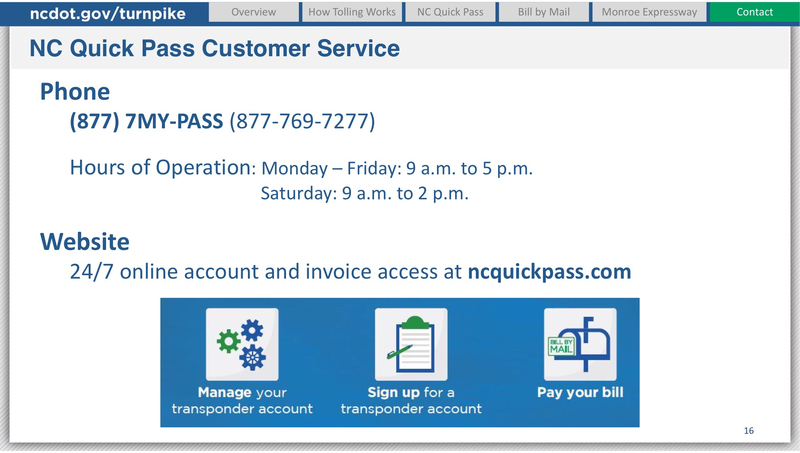 There will be transponders to send bills, or bills by mail, or e-mail. 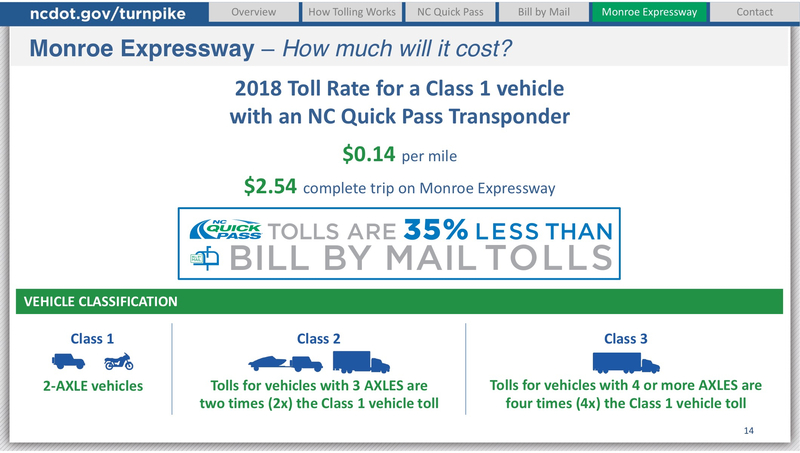 The biggest gasp of the morning was when Warren Cooksey said that with the fourth attempt to collect, the toll road operator will be authorized to block renewal of a scofflaw’s vehicle registration. 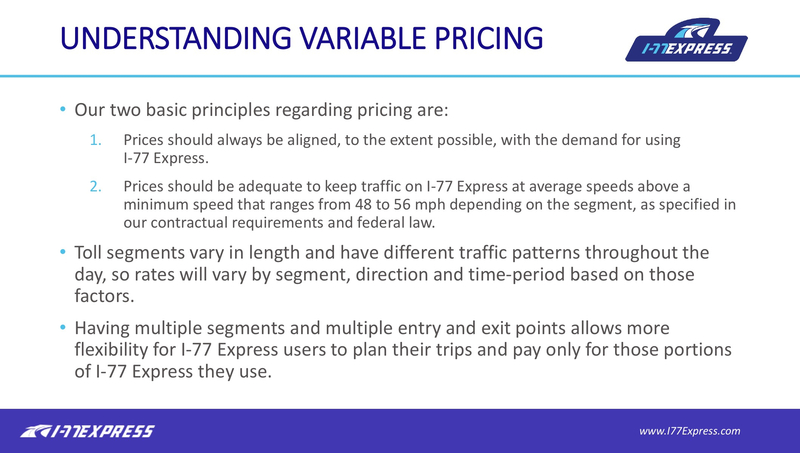 In the video below, the presentations begin at minute 11:09. 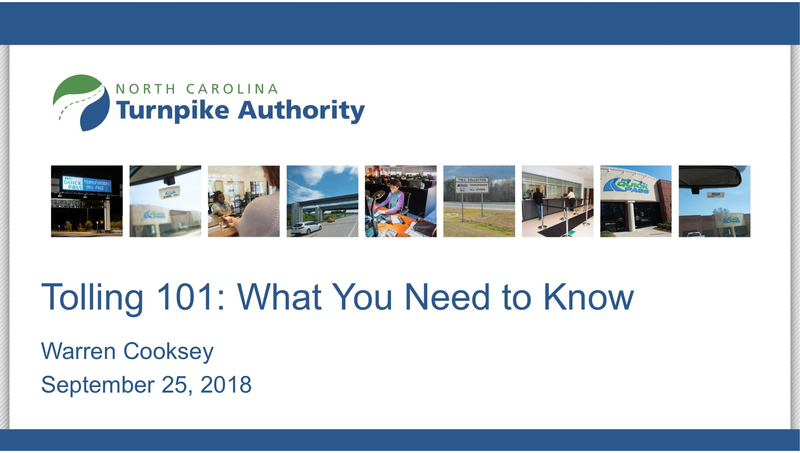 The Q&A begins at minute 49:05. 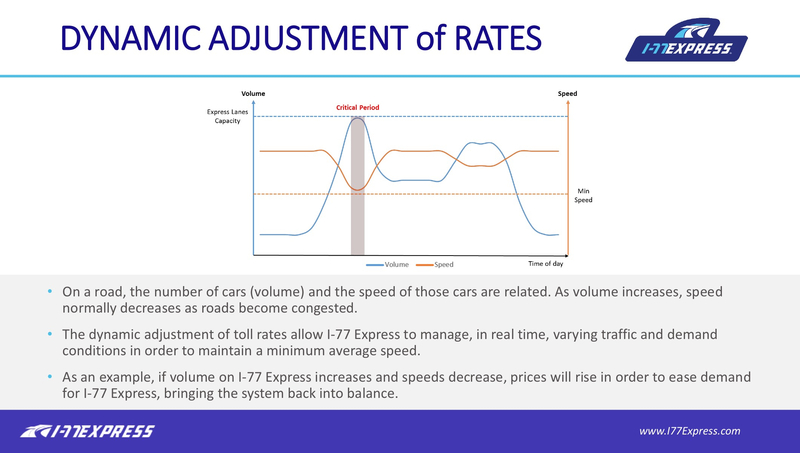 Below the video are the slides from the two presentations. 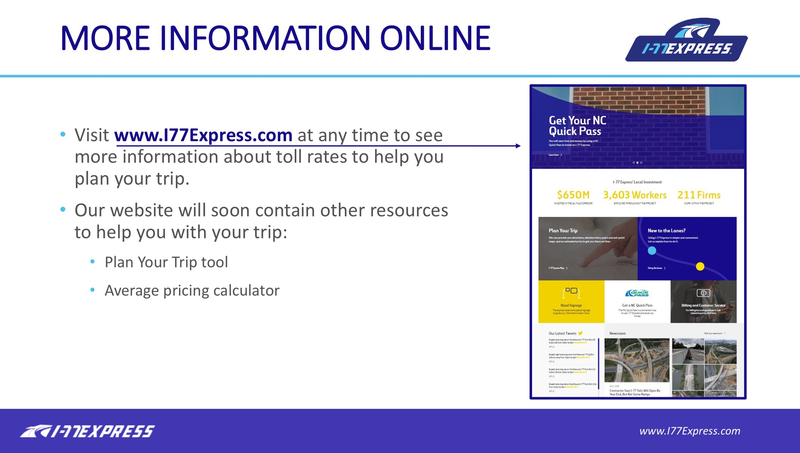 More slides will be added as they become available.